Often you will have muscles that feel tight or joints that are stiff and don’t move. These problems will often lead to referred pain in your feet and legs. overall treatment plan for certain conditions. Don’t Let Foot Pain Stop you From Enjoying LIFE! Our aim at Healthy Life Foot Clinic is to help you live an active, pain free life. We are passionate about helping more people MOVE WELL and FEEL GREAT! Our team of Podiatrists are experts in pain, injury and anything to do with the foot and lower leg. We take the time to listen to you and what is concerning you. We then use the latest in assessment techniques and equipment to quickly diagnose your problem and then provide a plan to get you back to health and activity quickly. All our services are focussed on RELIEVING YOUR PAIN, helping you MOVE WELL and making your feet FEEL GREAT. Feet feeling sore & tired then they may need some TLC. Hands on treatment to improve muscle and joint flexibility and movement. Painless treatment of many foot and lower leg conditions through the use of low level lasers & light. Embarrassed by your toenails then laser is the best option to treat nail fungus. Comfortable & flexible insole to speed up the healing process and get you back to exercising. Having a strong foundation at a young age can make your child fitter and healthier. 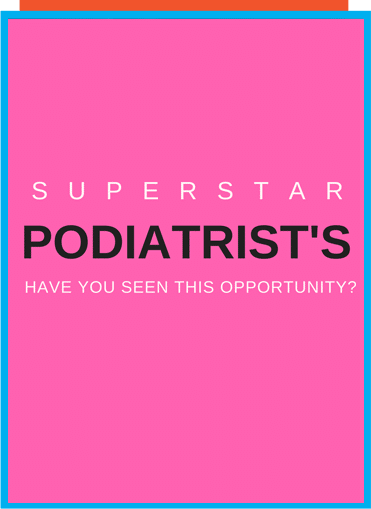 Keep up with the latest news and views on what our Podiatrists have been upto, treatment and other fun stuff.